The monument was designed by Eila Hiltunen and unveiled on September 7, 1967. 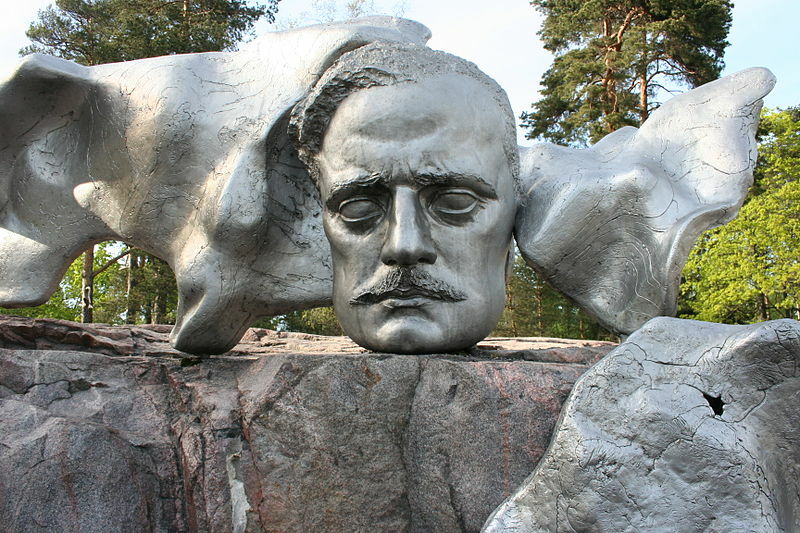 Originally it sparked a lively debate about the merits and flaws of abstract art, for which reason an effigy of Sibelius was included in the work. It consists of series of more than 600 hollow steel pipes welded together in a wave-like pattern. 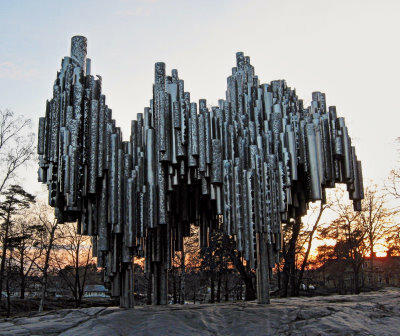 The purpose of the artist was to capture the essence of the music of Sibelius. The monument weighs 24 tonnes (24 LT; 26 ST) and measures 8.5 × 10.5 × 6.5 metres. A smaller version of the monument is located at the UNESCO headquarters in Paris. A work with a similar concept, also designed by Hiltunen, is located at the grounds of the United Nations headquarters in New York City. From the center of Helsinki, you can take tram 3T to the “Apollonkatu” stop and walk from there. Or you can take trams 4,7 or 10 to the “Kisahalli” stop and walk to the park along Sibeliuksenkatu. The Sibelius park is free to all.